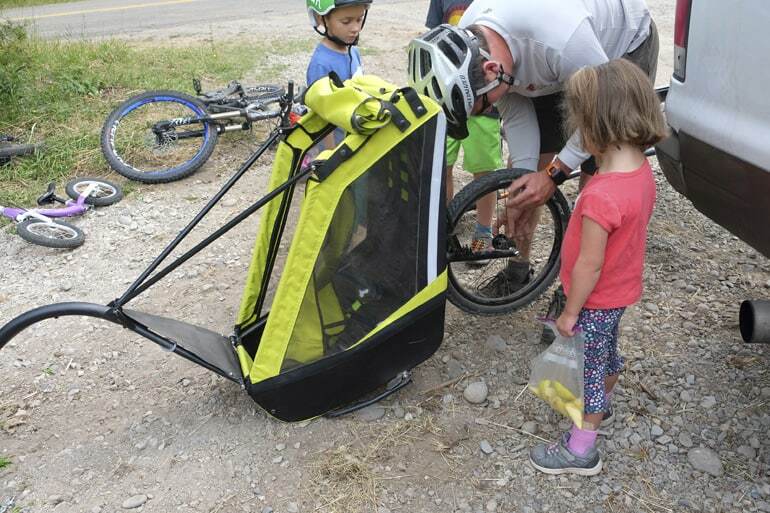 The Tout Terrain Singletrailer is THE only trailer that gives parents the ability to hit the single track with a child behind them comfortably so mountain biking CAN continue with families with small children. 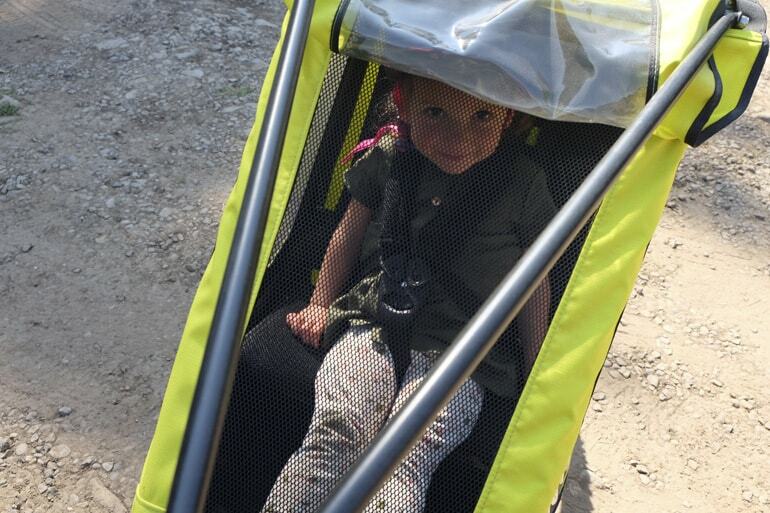 Despite numerous attempts with different trailers and set-ups, this is the best option we have found so far for hauling kids aged ~1 year – 5 years. 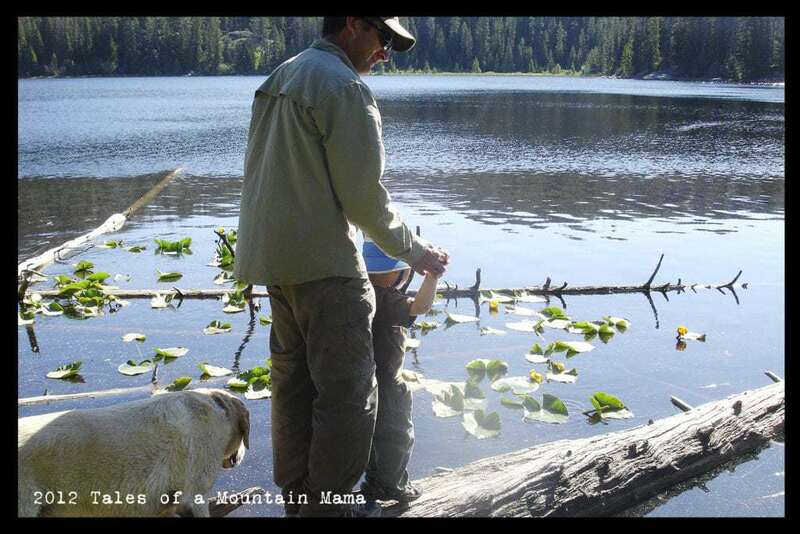 Note: Tout Terrain says you can put a child as young as 3 months in there safely with an infant harness, but we think that should be kept to very, very smooth trails only. The suspension. A 200mm travel means truly even going off 8 inch jumps is possible and comfortable for the child (yes, we tried). 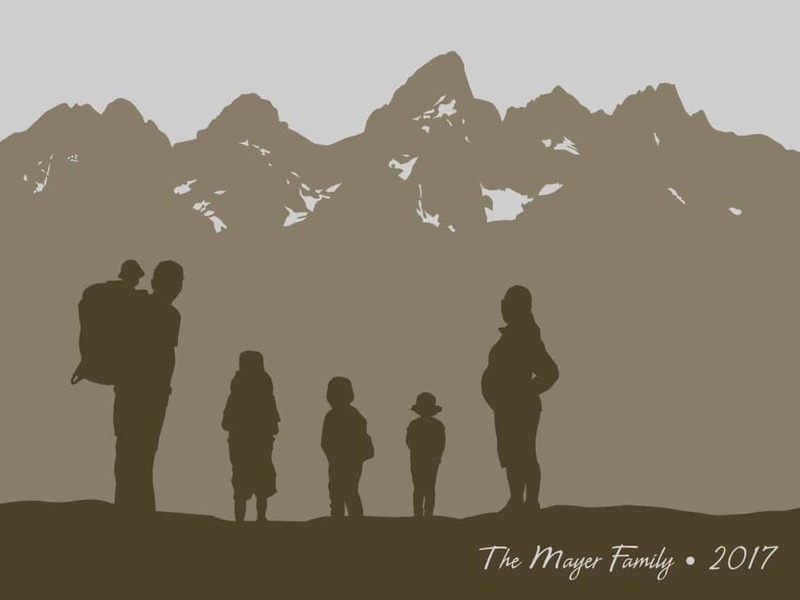 The design. 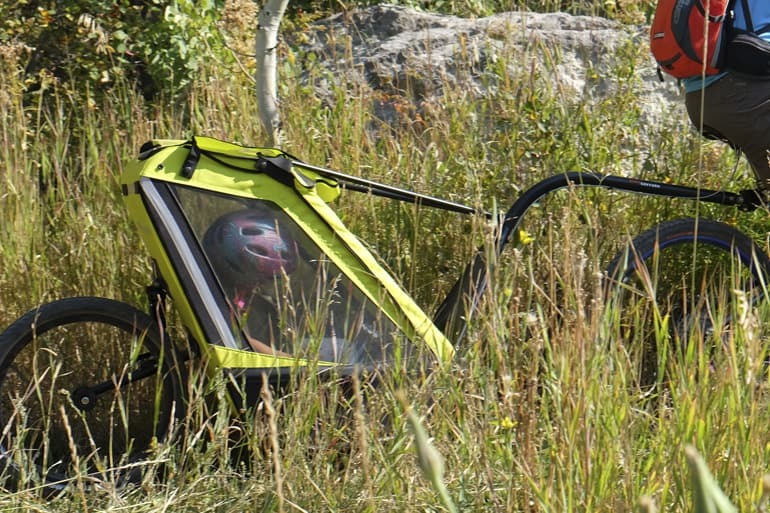 It’s narrower than your mountain bike, weighs only 21 pounds and boasts an incredible roll-cage AND 5 point harness. The price. I have to say it – this trailer just isn’t for everyone. It is built for the trails and the price tag reflects that. 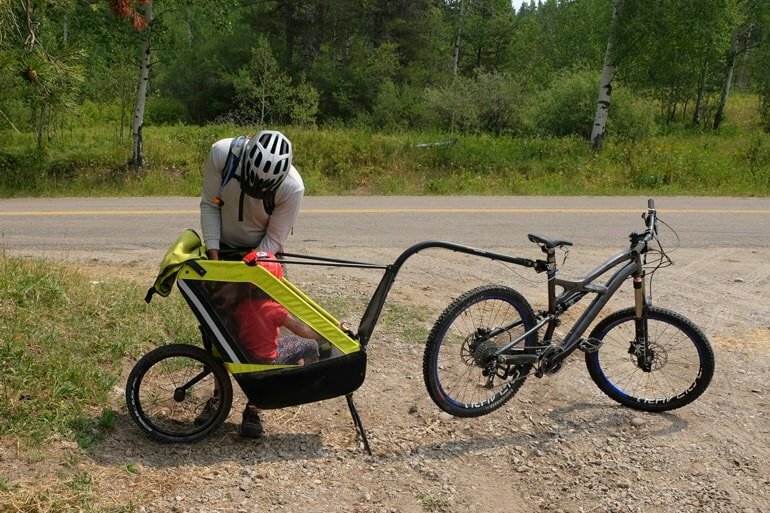 BUT, if you are into mountain biking and want to be able to do it with your child, this is the trailer! 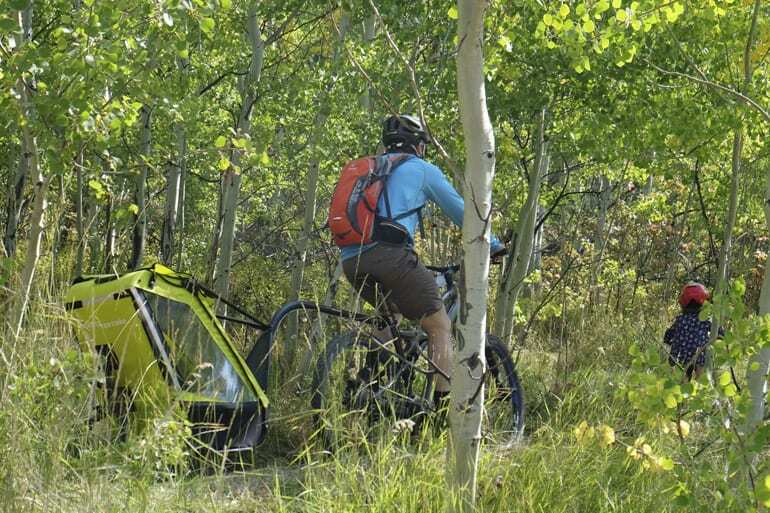 Mtn Papa took the Singletrailer on numerous trails to test it out. 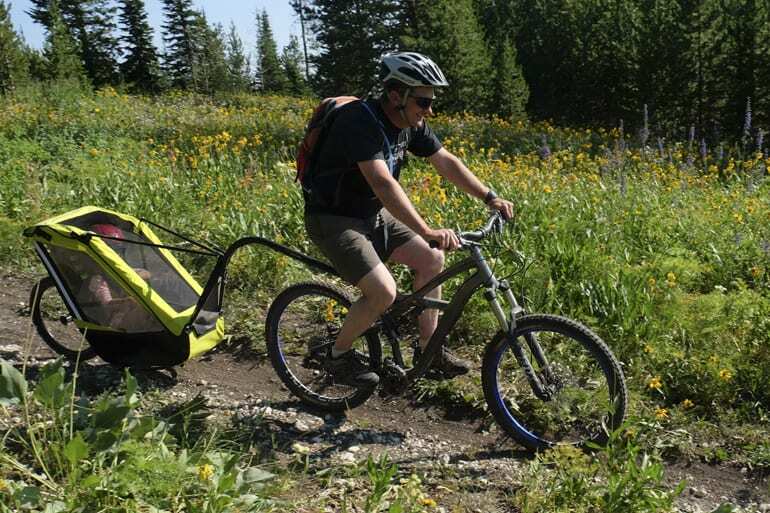 He found that it tracks much better than other single-wheel trailers (like the WeeHoo), and truly only impedes his riding on very steep and bumpy uphills. Otherwise, he can bike almost like he isn’t pulling anything behind him. 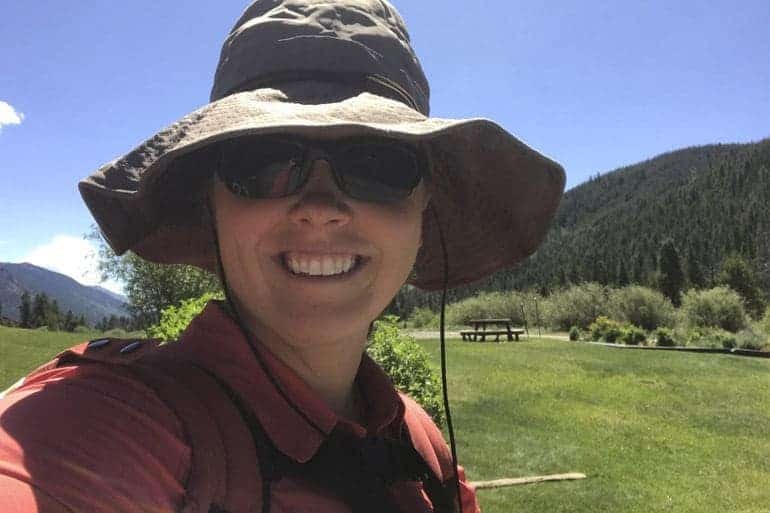 While for our family we really need two of them to be able to get everyone out on the singletrack (with a 1 and 2 year old), it did allow us to get out as a family much more often than we otherwise can. The trailer itself is fairly simple and slim. With no external pockets, it’s not made for hauling extra gear on long day rides, but rather just to haul an extra person. We did find small adjustments are needed on the hitch to get it in the correct upright position. If only there were a way to haul two kids…. An integrated pocket for gear would be helpful, though I am not honestly sure where it would go. There is an accessory cargo bag available, but we have not tried it. Bottom line? 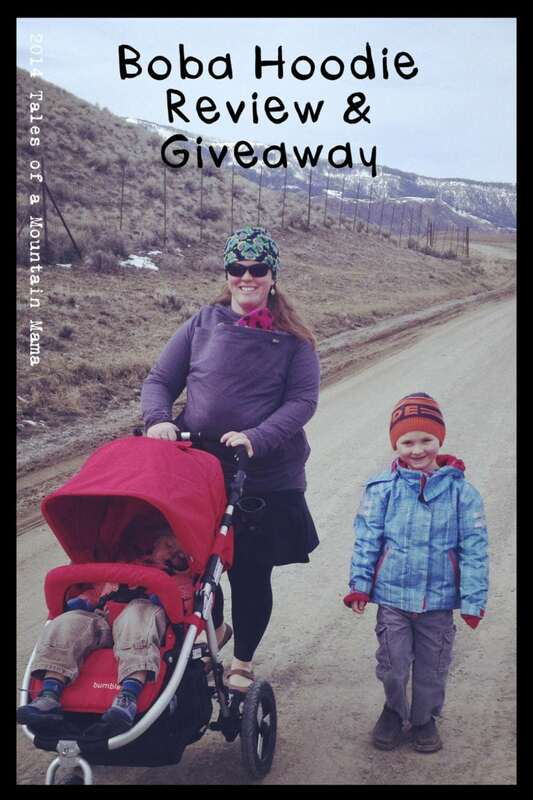 If you are into mountain biking and only have one child to tow, this is a fantastic option so you can continue getting out on the trails! Find a retailer here. This review was made possible by a temporary demo unit provided by Tout Terrain. No compensation was given.